What a trip! The people, experiences, and places will surely be unforgettable. 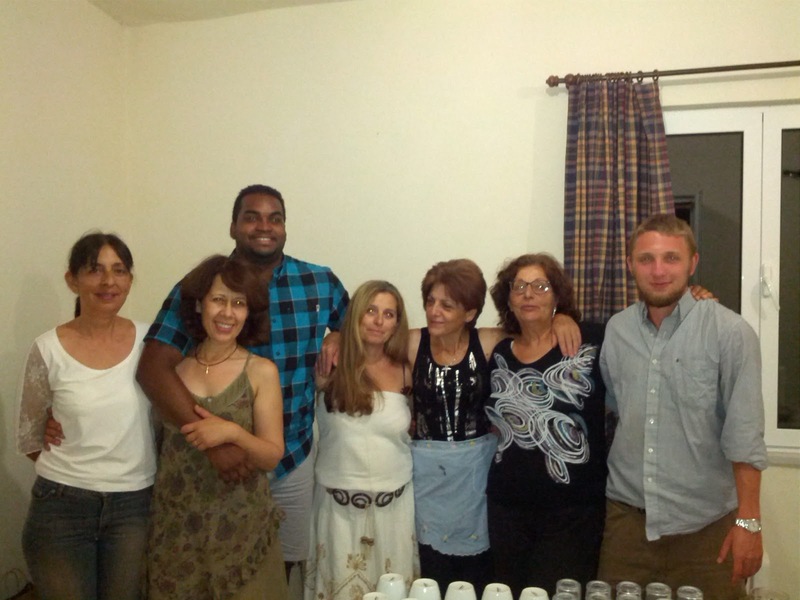 I can’t even begin to believe that with all we learned and moments we shared that we were in Greece for only three weeks. This is surely one thing in my life that I wouldn't trade anything else for. 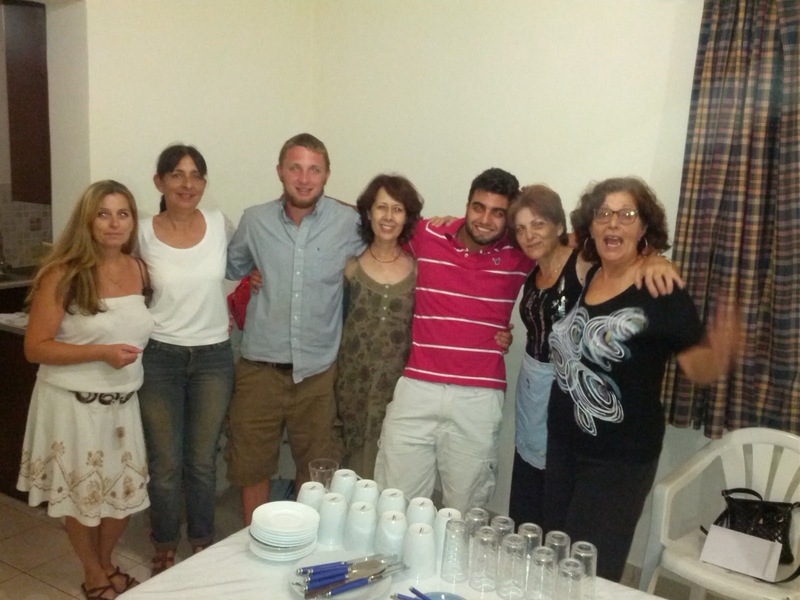 I am glad I was able to meet everyone in this group and learn more about geopolitics, globalization and statecraft. From the moment I heard about this program, my attention was grabbed. I knew I wanted to study abroad and this program fit perfectly. Even though these courses did not fall under my major, my understanding of the topics discussed is much vaster. Believe it or not, for those of you that know me, I already cannot shut up and stop sharing my experiences with my friends and family. I highly recommend this program to anyone interested in the geopolitics, globalization and statecraft. To have a greater understanding of the world you live in is truly an important attribute to understanding the place where you are from. As much as I learned about the European Union, it was interesting to see the United States influence in the Mediterranean. Attending the American Navy Base was by far one of my favorite experiences. Being able to share lunch with the Commander and hear his story of his times in the military and then questioning him about the base and other geopolitical significant topics was great. It was one of those trips that just put the real world aspect into what we were learning. Overall like I said before I wouldn't trade this trip for anything. 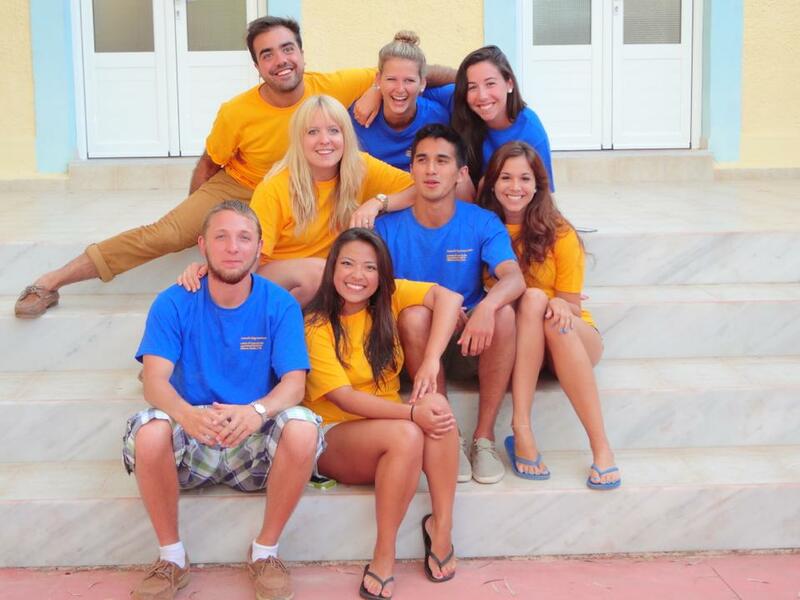 My time spent here in Greece with everyone in our group was amazing. This trip has motivated me to look for more study abroad opportunities for next summer and maybe even spend some time traveling Europe afterwards. 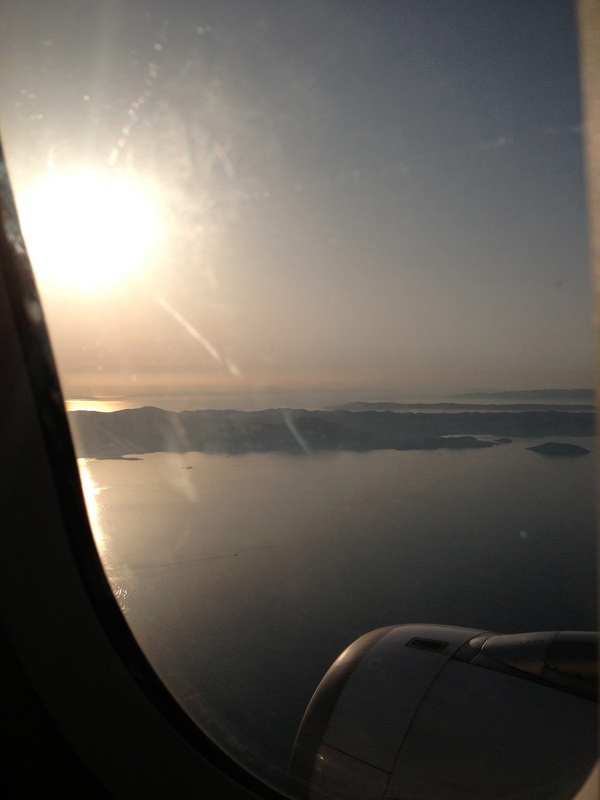 As glad as I am to be back, I am much sadder I have left Greece. Finally waking up from my anesthesia coma of getting my wisdom teeth pulled the day after I arrived home from the wonderful land of Greece, I am able to pull myself together to write a final blog post. Me and Tamara flew home to the U.S. with flying colors, we even got three seat row to ourselves and as an added bonus passport control put my stamp of entry and departure next to each other on the first page which never happens. We looked through our phones and cameras rewatching all the videos and photos we took, dying of laughter in the Athens airport. When we finally arrived in the U.S. through Philadelphia we were greeted by thunderstorms and delays (could've just started crying right there), we were no longer in the land where it doesn't rain. Just having uploaded all my pictures to my computer, it gave me a chance to relive all the great days we all had together. Hiking through the gorge and not falling off the mountain was a major accomplishment for me, getting through the long and slow car rides with the bus crew will always be a funny memory, and learning how to bargain in Chania is now an actual skill. As for the beaches and pool bars... I don't think I will be able to go to another beach ever again and be as happy as I was on the beaches of Greece. Water will never be as clear (or salty), fresh water showers will never be as accessible, and chairs, umbrellas and drink service will never be as perfect. 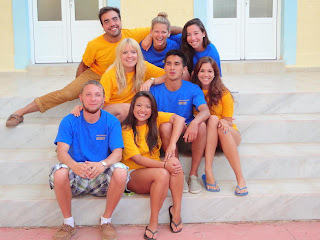 I cannot even begin to describe how privileged and grateful I feel to have been given this opportunity to study in Crete. Even though I chose to participate in the program for the sole reason of going to Greece and the Political Science just being the catalyst to my travels, I can honestly say that I now know a little something about geopolitics and statecraft considering I knew absolutely nothing before this being a English Com major. It was a rewarding program and I even have a certificate to prove it. Going into this program I really didn't know anyone personally (besides Tamara seeing that she's my roommate) but going home I can say that I have made new friends that I have made a real connection with and now I will have 15 new people to say hi to on campus. Lastly, I cannot express my gratitude enough to Mr. Kapsomenos, for being a gracious host and allowing us to rowdy, obnoxious college kids to stay at your institute. The ladies: Eva, Cleo, Tasulla, Elfrenia and Lea (sorry if I spelt any name wrong) thank you for cooking, cleaning and essentially being our Greek moms I love you all and will miss you and will never forget all the things you did for us. Vasalikis even though I didn't take your class you were still a great teacher and always welcoming, and thank you for being a fellow beach bum and driving us to the beach. Theo, thank you for dealing with the bus crew, we were loud, we sang off key, and we complained about your driving but we love you anyways. And finally, Professor Vamvakas and Professor Kulich, thank you for creating this program, it was an eye opening and learning experience and I love every minute of it. 'til next time Greece! 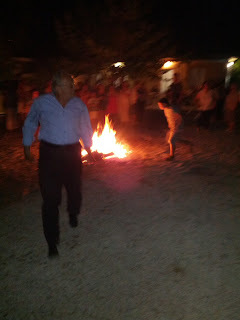 υγειά μας! I am happy that I am tan and have escaped my Boston bubble. I am happy that I also spent last semester studying European politics with professor Kulich-Vamvakas. To continue learning about the intense geopolitical and economic standings of the Mediterranean region, while actually on the soil is amazing to me. It's mind boggling to see how quickly a person becomes to their surroundings. The first week or so I was astounded by everything around me, and as this journey ended I had grown accustomed to the scenery. I got used to walking out to that beautiful courtyard every morning. Of course as happy as I'll be to be home, in my bed, surrounded by friends and family, I will never forget my loft. I'm also happy with my roommates during the program. I am so happy to have been able to share this time with great people an lots of laughs. We as a group really came together, and let's not forget the love I have for the back of the bus crew. It made me incredibly happy to hear Enrique Inglesias and "Final Countdown" on the radio on the ferry to Santorini as it instantly reminded me of the never-ending bus ride to Knossos. Don't get me started on sad... I am sad to leave the wonderful women working for the institute who have treated all of us like their own children. It was the saddestgoodbye to hug and kiss Eva and Chleo (spelling?). I am sad to leave Mr. Kapsomenos, with his incredible stride that will always have "do the hustle" playing in the background. I am sad to leave the institute which is not only aesthetically pleasing but has housed some great memories. I will be sad to leave the family dinners filled with friends and food and great conversation. I am most of all sad to leave the beautiful weather and beaches and will miss Mylos, Eftiki Star Beach, Falassarna and stunning coastlines that are everywhere you turn. Glad. I am glad that I will never have to (struggle to) walk up the institute hill in the scorching heat. I am glad that in the states I can get a large iced coffee so I don't have to buy two espresso freddos (because let's face it the first ones gone before you cross the street). I am glad that I can now read the Greek alphabet, something I hope I never lose. I wish to continue Greek and hopefully Vasilikis is up for private lessons via email. Oh I am glad that I wont be setting foot in an airport for a little while, I'm pretty over the lines and security and uncomfortable seats. Overall I am glad we as a group, made it through this academically challenging program with smiles on our faces, this was a great bunch and I hope I speak for us all when I say a great second run! The phrase above has been my guiding light throughout this trip. And, oh, what a trip it has been so far. First off, if you do not know this popular phrase, you definitely did not get the great chance to watch one of the greatest Disney movies of the 90's, maybe even of all time, Lion King. A phrase that was formulated using the Swahili language and translates to "no worries". For me, this is the first thing that comes to mind. Yes things won’t go your way, the people on the trip might be of a crowd you may not like, your expectations might not be what actually happens on any given day. It is at this point you take a step back and just say to yourself, Hakuna Matata, “no worries”. This might sound corny but this one phrase, this way of being has taken a stressful, emotionally draining but altogether fulfilling time in Crete as some of the best days I’ve had. family of friends I have made on this trip. Even though I knew them before I will never know many of my classmates as well as I know this bunch now. And like a family I love them all the same. Whether it was Ben who surprised me every day with his quiet outbursts of comedy that I find so funny, or Nick who quietly, literally as quiet as can be, became someone I believe I can call a friend. There was even the dastardly duo of Tamara, pronounced like camera, and little princess Marissa being so wild, crazy and fun. Then there was the prom couple Cody and Amelia, who honestly without their comedic performances I don’t think my time here would have been quite as memorable. Diane thanks for teaching me guitar. Alan thank you for my understanding of PERCEPTION, but really thank you for lending me your ears when I got a little frustrated. Kelsey our T.A made it even more enjoyable going to the restaurant and being able to mingle with the locals over a refreshing frappe. Or even Nate and his constant search for a cup of coffee. Buck the crazy adventure man good luck and safe travels in Brazil. DW and DA the best tandem of names. I could go on forever with stuff like Adrianna’s dinner table stories of her brother which were hilarious I must say, but to make this as short and sweet as I can I won’t. I have loved this trip because the positives always outweighed the negative just because I always felt like there were no worries. That is my only advice to future students, there will always be bumps in the road but even greater there is always that light at the end of the tunnel. What you take away from trips like these should be the positive moments, the great moments. Thank you to the island of Crete, the residents of Alikianos who may or may not have been able to hear us far into the night writing papers having singing circles or what have you, thank you to the superwomen of this trip who fed us full, who cleaned as clean as possible and loved us as wholly as they could. Thank you to Kapsomenos, you magician you, for always being so happy and making us feel welcome. Thank you to Theo for driving us around and making our group part of his blogpost. Finally, special thanks go to the Vamvakas family for this amazing program and their commitment to making this the safest, most productive and fun experience of a lifetime. Just submitted my final paper which is bittersweet. On one hand I can sing " schools out for the summer," but on the other it means this tremendous experience and exposure to a culture I've come to love and feel welcomed in is coming to quick end. I have learned a lot in the past month, I have had many realizations and not only learned in the classroom, but about others, as well as my self. Learning never stops for me as I believe people are a work in progress to their very end. I am so enriched because of this experience and this is just another stepping stone in the grand scheme, but this stone has been a diamond in which I cant necessarily pick up and bring with me. Like all things in life, everything must come to an end (I guess) and this is one of those things that has really meant a lot to me and perhaps my overall shaping. I am so grateful for the opportunities afforded to me and have no idea how my life continues to work out so well as it often does. I thank everyone who made this experience what it was, and those who made it possible above all else. I miss my home, parents and friends, but I will also miss the home I've been immersed into and have made here in such a short span of time. In about 40 hours I will be boarding a plane in Athens and landing in Beirut; I am beyond excited to see my family and enjoy my time in that paradise as I know it. It is in my nature to give credit where credit is due ( or atleast I try), and this has truly been amazing as my nostalgia already tells me. Just like when I left Lebanon last summer not knowing how soon I would return, the future is always uncertain and I guess when we have such appreciation to something or someone, the law of attraction naturally takes course. Goodbyes aren't my thing when love grows for me, and like all other scenarios ill say this to Crete if it can hear me, Ill see you soon. This experience was one of my most favorite of the whole entire trip. It has also been the experience that has taken the longest one to process. While hiking, up ways, down ways, cross ways, all ways...I was screaming about how "I would never do this again" and how crazy I was for doing this but by the time I got a little pass the half way point, my perspective began to change. The sights we began to see were beautiful and there were many opportunities for self reflection. I thought about how hard it had been hiking so far and for so many hours and paralleled that to the hardships and challenges that I experience in life. The moment in which I reached the end and passed the gate man my exit paper was the best feeling ever. Again I thought to my comparable challenging l ife experience and thought, if I could accomplish this (all though sweaty, smelly, bruised, and cranky) I could conquer the world. Until I realized that it was another 3 km to the beach that we all were greatly anticipating. Reaching that beach however was a feeling that I will never, ever forget. It was like winning the Olympics and I would encourage all to experience it. 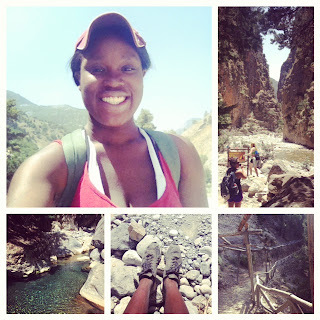 I will definitely hike the Samaria Gorge again!